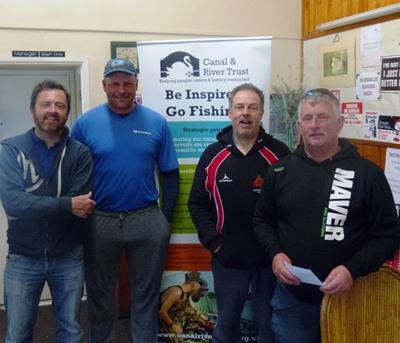 On a breezy and cool day, but with a warm welcome from fishery managers Gail and Dave, Blythe Waters was the venue for the second qualifying match of the Angling Trust & Canal & River Trust Stillwater Championships held on Sunday 10th May 2015. Sean Huggins of Dynamite Baits and Drennan Tackle had a superb top weight of 83.78kg from peg 27 on Willow Pool. Sean fished groundbait and maggot down the side margin for most of his thirty carp, picking up bonus fish on pellet immediately in front of his peg. 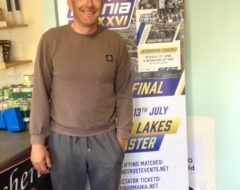 The other qualifier from Willow was Darren Hannon with a creditable 64.28kg from peg 1. In fact Willow pool produced over 500 kilo of fish for the 15 anglers. 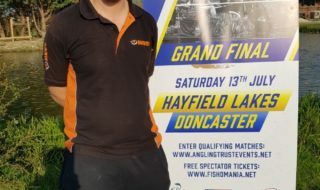 Bridge pool proved more difficult with Richie Hull (Garbolino and Dynamite Baits) qualifying with a hard earned 46.54kg. Andrew Kirk was the fourth qualifier with34.20kg. The next round is at Boddington Reservoir on Wednesday 20th May. Plenty of Tickets are available for the Kiveton qualifier at Sheffield on Saturday May 30th. 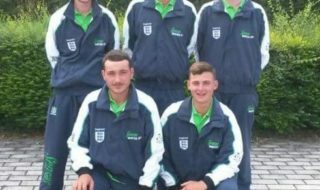 Photo – From left to right – Darren Hannon, Richie Hull, Sean Huggins and Andrew Kirk.